Founded in 1996, bob wolf partners/TPG provides high level strategic counsel to America’s leading advertisers in retail, hospitality, consumer package goods, travel, banking, pharmaceutical, insurance, automotive, tourism, healthcare, entertainment, food, and many other categories. Our philosophy is that a strong relationship between client and agency is one of the best ways to leverage the marketing budget. We proactively and confidentially assist advertisers and agencies address their relationship issues by providing a comprehensive scope of professional consultancy services. The firm expanded its domestic and global reach via its JV relationship with Joanne Davis Consulting and SCAN International in 2011. The partners each have more than 35 years of experience working with over 100 of the Fortune 1000 in 15 different industries. We have both client and agency senior management experience, built and run some of the world’s most respected agencies, supervised some of the world’s largest and most successful brands. We have extensive experience and first-hand knowledge of the pros/cons of hundreds of agencies ranging from the multi-billion-dollar agency holding companies, to large and small full-service independents, to niche players specializing in shopper, public relations, event/sponsorship, media planning/buying, digital, social, entertainment, influencer marketing, crowdsourced creative content/production and more. Importantly, as technology has disrupted the traditional media-consumer relationship, the firm has stayed ahead of the curve with new models for engaging the consumer…and new resources reconfigured to provide even more efficient creative, digital, social and viral tactics that allow consumers to engage other consumers…ultimately generating higher sales for our Clients. Dan Pearlman brings over 35 years of successful top management, operations, strategic planning and marketing communications experience to bob wolf partners/TPG, a management consulting firm he co-founded in 1996. Highly regarded within the industry, his bottom-line orientation and understanding of the inner workings of the most sophisticated U.S. advertising /marketing communications agencies and clients provide the foundation for his success in working with advertisers seeking counsel regarding agency selection and compensation, contract structuring and negotiation, relationship facilitation, media management and analysis, advertising effectiveness and related performance reviews. Representative clients have included American Express, Boeing, ADT, Hilton Worldwide, Kia, Kraft, Toyota, Payless, Coca Cola, Princess Cruises, Lending Tree, New York Times, Jenny Craig, E-Trade, Home Depot, GIA, General Motors, Roche, American Chemistry Council, Sentara Healthcare, John Deere, Zurich Financial, Buick, Marriott International and more. His insight and perspective is valued by C-level marketing and procurement management, as well as their agencies. 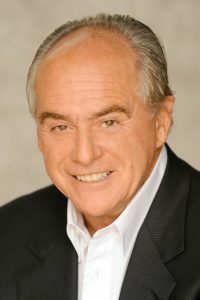 Dan pioneered work in marrying the needs of both the private and public sectors (cause marketing/CSR) as CEO of The Pearlman Group (TPG), an organization founded in 1989. The firm worked closely with top management of Fortune 500 companies (GM, Coke, Crystal Cruises and Seagram) on strategic communications solutions to brand marketing problems. While helping clients achieve significant sales and profit gains, TPG showed consistent growth annually from 1989-1996 when it morphed into two entities: bob wolf partners/TPG (consultants to advertisers) and The Pearlman Group (M&A, investments). Pearlman has profitably managed accounts with fully integrated campaigns comprising all marcom elements: advertising, public relations, event/sponsorship marketing, social/digital marketing, direct response and sales promotion for over 50 of the world’s most successful companies including United Airlines, Procter & Gamble, Bristol-Myers, General Motors, Mattel, Seagram’s and others. He worked his way up to Vice President with Young & Rubicam (New York) and Senior Vice President of Ogilvy & Mather (New York and Los Angeles). As a young executive at Y&R, he led six different creative and research teams in a six-month new product and line extension development “assault”, resulting in the retention of the prized Jell-O account, the cornerstone of the agency’s $100 million General Foods (Kraft) business. As Ogilvy’s youngest Vice President, Dan helped the agency grow by 200% as he spearheaded the Barbie brand for Mattel while supervising five other accounts. His entrepreneurial drive led him to build, acquire and manage several advertising/marketing communications agencies under the Pearlman/Wohl, Inc. umbrella. The $102 million firm, well known for its creative retail and co-op campaigns, was sold in 1989. Dan began his career in research and economic planning at Ogilvy & Mather, Los Angeles as he earned his MBA at UCLA (he also has a BA from UCLA). He added client experience as interim CMO of Los Angeles based Bekins Moving & Storage and had a similar role at Clif Bar. He was also President, Consumer Products of one of LA’s largest independent PR firms. Over the years, Dan has won numerous marketing, advertising and public relations awards, guest lectured at UCLA, USC, Pepperdine and various industry (e.g. AAAA, PRSA, DMA, ANA) conferences and been published on subjects ranging from private-public partnership and building brand equity, to the role of consultants in the agency review business to the new social paradigm of consumers selling other consumers (WOM). Mr. Pearlman serves on several non-profit and for-profit Boards. He is a Public Arbitrator for FINRA and can provide Expert Witness testimony on marketing communications (advertising, public relations, media) matters. Joanne Davis founded Joanne Davis Consulting, Inc. in 2000. The consulting firm specializes in agency search and compensation management, client agency optimization and client training. 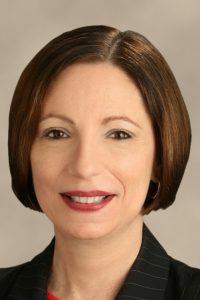 Joanne and her firm has had successful and ongoing client relationships with no fewer than 25 of the Fortune 500 including ExxonMobil, Pfizer, IBM, Citigroup, Office Depot, Fortune Brands, Kraft, Dow, Guardian Life insurance, Bristol Meyers Squibb, Johnson and Johnson, Microsoft and others. The firm entered a joint-venture partnership with bob wolf partners/TPG at the beginning of 2011 for purposes of sharing industry benchmark data, developing proprietary research and products, and providing better geographic coverage across the U.S. Joanne Davis Consulting is a shareholding partner in SCAN International. A popular speaker and writer, Joanne speaks regularly for the ANA (Association of National Advertisers) and for multinational groups such as the Festival of Media (Venice) and the IAA World Congress (Moscow). She was invited to join the ANA faculty where she has been conducting workshops on Client/Agency Relations Optimization and Compensation since 2004. Prior to founding Joanne Davis Consulting, Joanne spent 20 years as either an agency owner, President, Board member or in management in domestic and international advertising and marketing communications agencies. Her first consulting engagement was serving as Acting CMO for the US Department of Defense for 18-months. She is on the Board of Directors of the Advertising Club and its Executive Committee.